Cut the watermelon into small cubes, peel and remove seeds. Place in a freezer for 5 to 6 hours. Cut the muskmelon into small cubes, peel and remove seeds. Place in a freezer for 5 to 6 hours. Blend watermelon and muskmelon separately. Take serving glass, pour watermelon. Pour muskmelon over watermelon. Pour strawberry crush and orange crush. 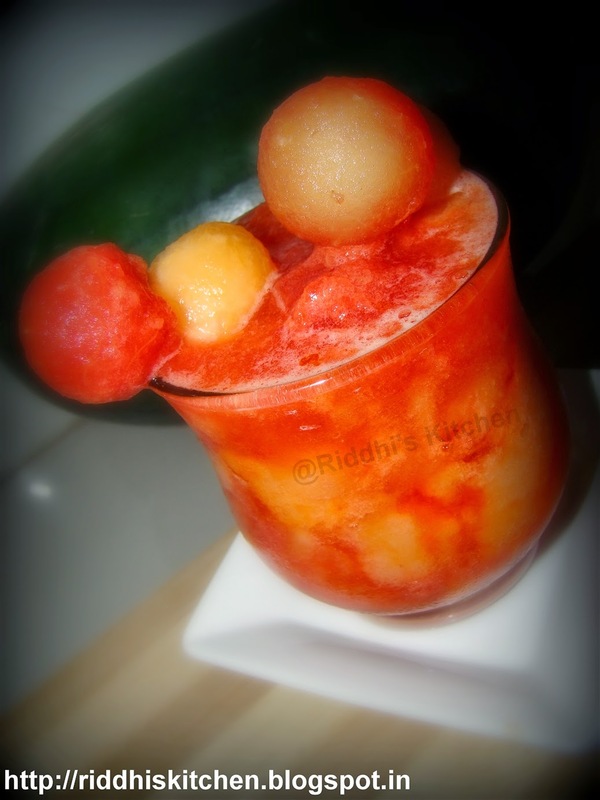 Garnish with scooped watermelon and muskmelon.